To educate our patients and earn their trust while providing them with the most innovative techniques in a comfortable, caring environment, enabling them to make informed decisions to achieve optimal oral health. We emphasize a holistic approach to oral health. We address issues caused by poor jaw alignment, improperly positioned teeth, and lost tooth structure, while creating natural looking, beautiful smiles that allow our patients to face the world with renewed confidence. We pride ourselves in our commitment to providing quality, caring dental care in a courteous and professional manner. Each person is given attentive, individualized care and we respect the value of your time. 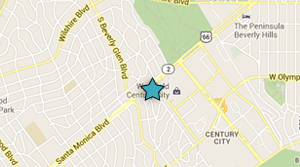 The Century City Dental Group has a state of the art dental facility and in-house laboratory. Root canal doctors (endodontists) and gum specialists (periodontists) are on staff at the office, making the Century City Dental Group a one-stop-shop for all your dental needs. Our patient, kind, and friendly staff are among the best in the industry and look forward to helping you get the dental care you need. By making available the best that dentistry has to offer, we work with our patients to discover how to most effectively meet their goals, and help maintain healthy, beautiful teeth for a lifetime. We know your time is valuable. That being said, we promise to always give you the attention and time you deserve. And at our practice, we make every effort to complete the work in a timely manner in as few visits as possible. That being said, we always take the time to listen to your concerns and to answer your questions. Dr. Fred Nayssan has had over 30 years of experience working in the dental field. As a pioneer in cosmetic dentistry, he was one of the first to do veneers and other cosmetic procedures here in Los Angeles. Dr. Fred Nayssan is a TMJ (Temporo Mandibular Joint) specialist and one of L.A.’s leading professionals when it comes to cosmetic and reconstructive dentistry. Dr. Fred Nayssan is a regular lecturer at seminars, including lectures at both USC and Loma Linda University. Dr. Elliot Nayssan graduated from UCLA Dental in 2004 after receiving his BS in Anthropology. He graduated at the top of his class and was a member of the Golden Key National Honors Society. Dr. Elliot Nayssan has spoken as a lecturer and educator at numerous seminars, functions, fundraisers, and schools. Both he and Dr. Fred Nayssan have been nominated for U.S. Best Dentist Awards and are considered to be among the world’s best cosmetic dentists. Together, they perform thousands of procedures yearly on people who fly in from all over the world. They are both part of the American Dental Association, the California Dental Association, the Alpha Omega Dental Association, and IDAC. Together we know how important your smile can be to project confidence, optimism, and health. We’re here to provide comfortable dental care for you and your entire family. Our practice offers a comprehensive array of preventive, cosmetic and restorative therapies performed with compassion and an eye for detail. We treat the underlying causes, not just the symptoms, of dental problems to create beautiful, healthy smiles that last a lifetime. The Century City Dental Group has also been a part of the Tyra Banks Makeover Show, as well as Deal or No Deal, providing dental work for their contestants. We would like to personally thank you for visiting our website. We are passionately committed to giving patients their best smile. No detail is too small when creating your dream smile. Our entire team is dedicated to providing you with excellent, personalized care and service to make your visits as comfortable and pleasant as possible. Our their team is committed to building long-lasting professional relationships one smile at a time. From routine care to the forefront of dental technology, our office provides the services you need to care for your smile and your health – and all the smiles in your family. As a practice, we are true believers that preventative care and education are the keys to optimal dental health. We strive to provide “dental health care” vs. “disease care”. That’s why we focus on thorough exams – checking the overall health of your teeth and gums, performing oral cancer exams, and taking digital x-rays when necessary. We also know that routine cleanings, flossing, sealants, and fluoride are all helpful in preventing dental disease. Not only are we focused on the beauty of your smile, we’re also concerned about your health. Our number one responsibility is to provide you, the patient, with the best possible care. That is why our practice has made a significant investment in cutting-edge dental technology that will allow us to provide you better and more comfortable dentistry. Through the use of a state of the art technology, our dentists are able to provide dental treatments that minimize pain, discomfort and decrease the amount of time that you have to spend in the dental office. Most importantly, these technologies allow us to detect dental concerns at early stages, treat your dental issues with precision, and provide stunning and customized restorations.